I’m sure I’m not the only beauty lover with a bathroom full of messy drawers and cabinets, filled with beauty products I can’t ever seem to find when I’m looking for it! I am the queen of messy bathrooms, just ask my husband. I tend to shove products wherever I can find a space for them. There is usually no rhyme or reason to the organization either, which is funny, because if you look anywhere else in my house, I’m actually very into organization, but for some reason can’t seem to get it together in my bathroom. I’ve tried other beauty and makeup organizers too, only to end up with them being just as messy, because they just can’t seem to keep me organized. I will get lazy and toss the lipstick back in the organizer with the powders. Needless to say, I’ve spent quite a bit of money in the past on organizers for my makeup, only to have them ending up a complete mess. I loved this cool little organizer when I got it, because first off, you can’t fit anything but pencils in it, so unlike my previous attempt at organizing, you’re not going to end up with lipsticks in there! 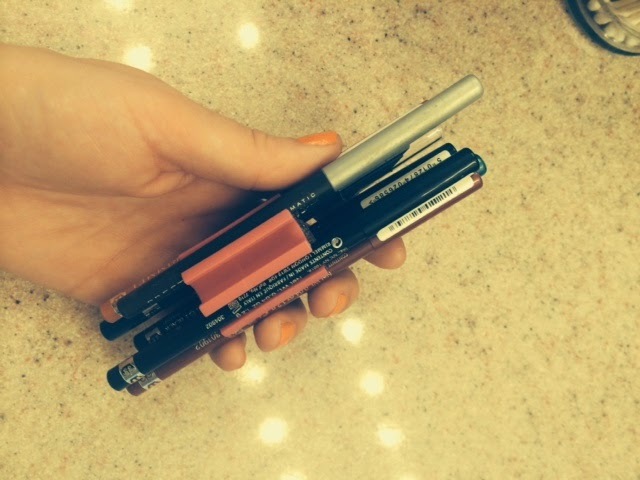 This handy little tool comes with a spot for 8 different eyeliner or lip liner pencils (fits standard sized pencils). They stay in their nice and snug so they won’t fall out in your drawer or handbag, and aren’t going to expand big enough to fit a mascara in there either. I love this because it keeps my pencils all in once place, just like it’s designed to do. 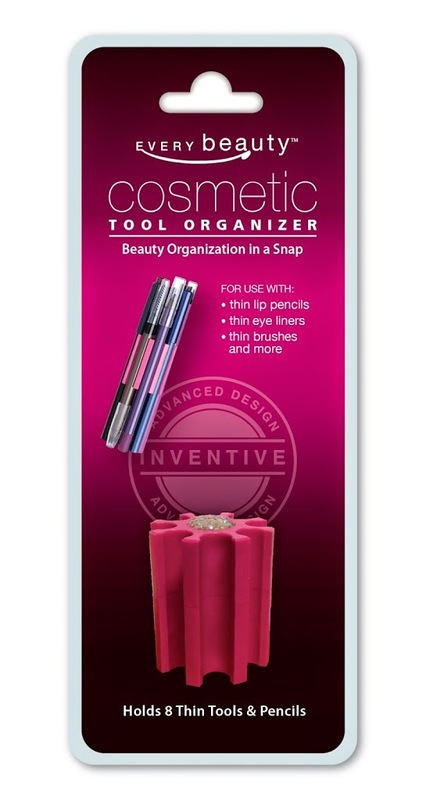 The awesome size of this organizer is small enough that it’s perfect for sticking in your bag to travel too! 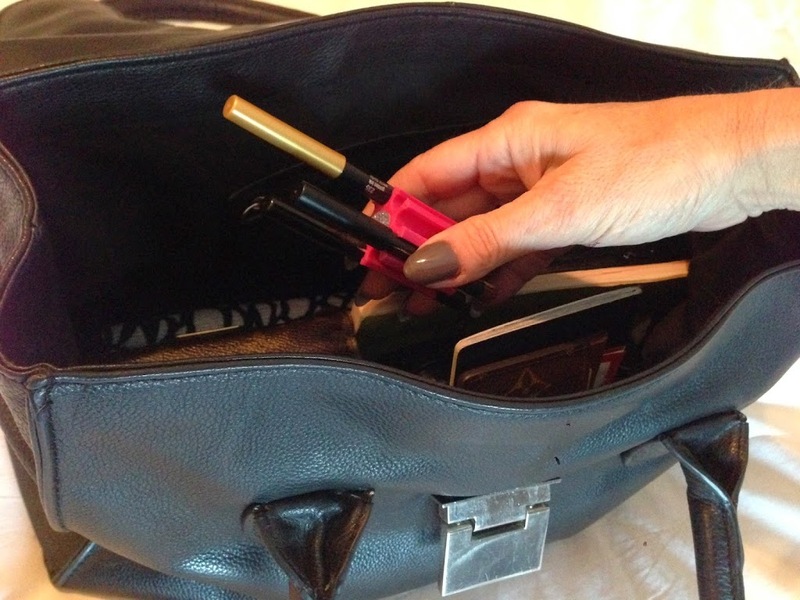 If you carry a lot of makeup for on-the-go, you absolutely need to have this in your bag! It will keep all your pencils in one spot so they won’t be flying around everywhere in the bottom of your purse! 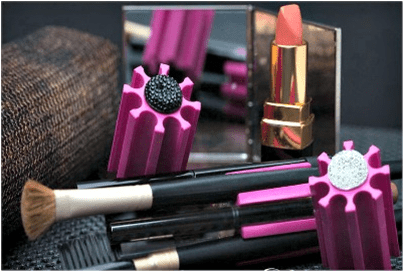 I also love the cute hot pink color, and the cute jewels on the top and bottom, making it eye catching so you can find it in a snap, as well as pretty, if you happen to be toting yours around in your bag and want your makeup organized in style! What also thrills me about this makeup pencil organizer, is that when your pencils are in there, you can see the brand, color, everything perfectly, so you don’t have to grab at a few until you find the right one. You can pick it out from the group, easily, every single time! This awesome organizer will also keep your pencils safe and prevent them from getting damaged at the head, which I can’t even tell you how many times I’ve done just grabbing it out of the drawer! This is also such a great tool to keep in your travel bag so you’re makeup will be organized and your pencils will all be in one single spot, easy to find when you’re on vacation. We all know how those suitcases can eat up everything and I don’t even want to think about trying to dig out a pencil here and there, out of that darn suitcase! I’m completely obsessed with this makeup pencil organizer and have loved having it right there in my drawer, super handy to pull out and pick my shade for the day. 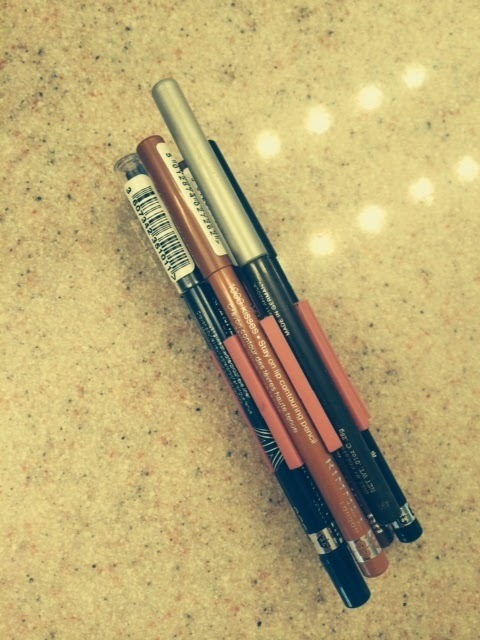 I love that I don’t have pencils scattered all over my bathroom (or my handbag!) 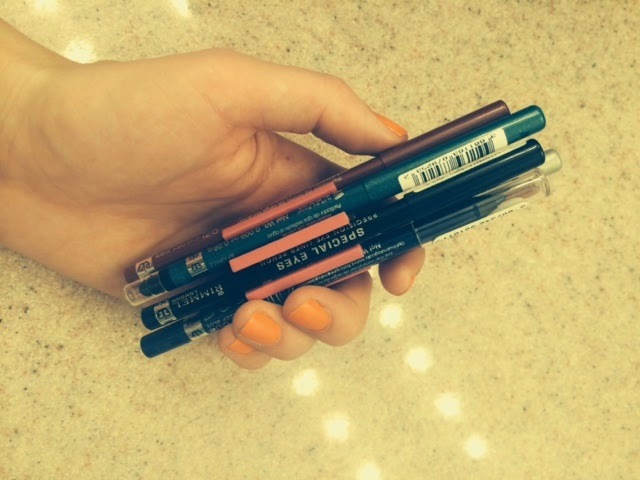 and it keeps my pencils safe and makes it super easy to find my shade for the day, in a matter of seconds! I know if you have a messy bathroom or handbag, or are into organization, you’re going to love this super chic pencil organizer from Every Beauty Brand! Be sure to check them out today at EveryBeautyBrand.com, where you can purchase the Makeup pencil organizer! They also have lots of great beauty tools, makeup brushes, bobby pins, and more in their store! You can also purchase your very own Every Beauty Brand Makeup Pencil Organizer from Meijer Supermarkets and HEB Grocery Stores as well! Also, the lovely people of Every Beauty Brand are letting me giveaway some of their Amazing Makeup Pencil Organizers to one of my lucky readers! Sorry, This contest is open to US only! I will use it for both because I typically take my makeup everywhere I go because I never know where I may go! I would use it for my purse! I think I would use this at home, it would really be awesome to be able to find my eye and lip liners. I’d use it for home and purse both! at home! this is just what i need! I would use it for home. It would help so much that I would not have to be digging to find the pencil I’m looking for.